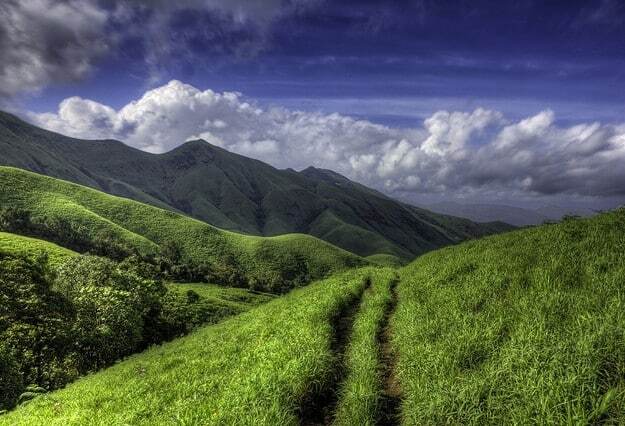 Known for its bio-diversity and mineral wealth, Kudremukh is located in the Chikmagalur district of Karnataka. 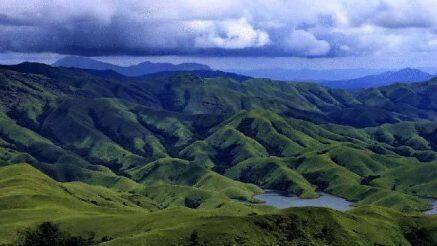 In Kannada, Kudremukh means ‘horse’s face’ and the place gets its name from a peak that resembles the face of a horse. The beautiful landscapes of Kurdremukh are a big crowd puller. Trekking along the well-established trails lead to the point of origin of these rivers. The trekking trails through dense forests and tropical riverbeds with varying degrees of difficulty, attract those seeking an adrenaline rush. You can see rare orchids and enjoy the fresh mountain air as you explore the grassland. The Kudremukh range of mountains was declared a national park in 1987. You need to have prior permission and a licensed guide to trek the summit. The Kudremukh National Park is the second largest protected region in the Western Ghats that is spread over an area spanning 600 sq km. The region is home to langurs, macaques, barking deer, malabar giant squirrels and chitals. Leopards, tigers, jackals and wild dogs have also been spotted here. The best time to visit Kudremukh is between October and February. The region in and around Kudremukh receives about 7,000 mm of rainfall per year. With five sacred ponds located near the town — Amba Teertha, Naga Teertha, Vasishtha Teertha, Rudra Teertha and Varaha Teertha — Kudremukh is also a popular pilgrimage. Hanuman Gundi is a famous waterfall the checkout here. Tents and cottages run by the Government Tourism Department offer budget accommodations with decent facilities but they need to be booked in advance. Homestays with the locals is also a good option to stay in Kudremukh. It is best to carry meals while visiting Kudremukh since there are no restaurants except a few street stalls that sell snacks and refreshments. The average minimum and maximum temperature of Kudremukh is as given below. The best time to visit Kudremukh is also specified.